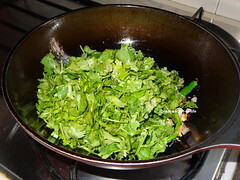 Heat pan and add 2 teaspoons. 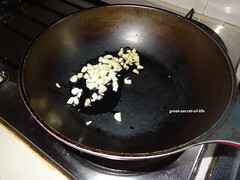 When it is hot add ginger & garlic and fry till garlic is slight brown color. 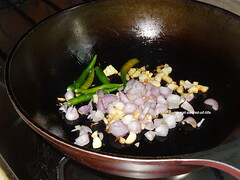 Add small onions, green chillies and fry till onion is cooked. 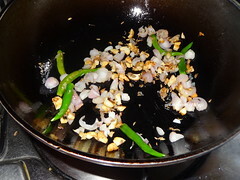 Add cumin seeds and fry for another 1 mins. 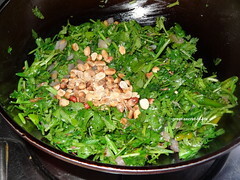 Add chopped coriander, roasted peanut and fry for 2 mins. Switch it off and let it cool down. 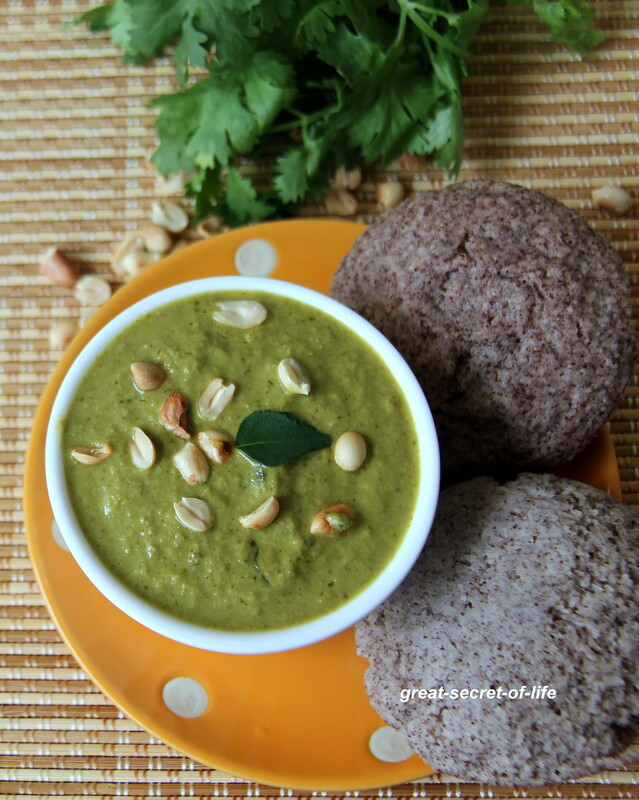 When it is cooled down add sesame seeds, tamarind paste, salt and grind to smooth paste. 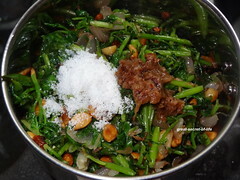 love the idea of cooking a little bit and then grind it, it makes process easy, tempting one. 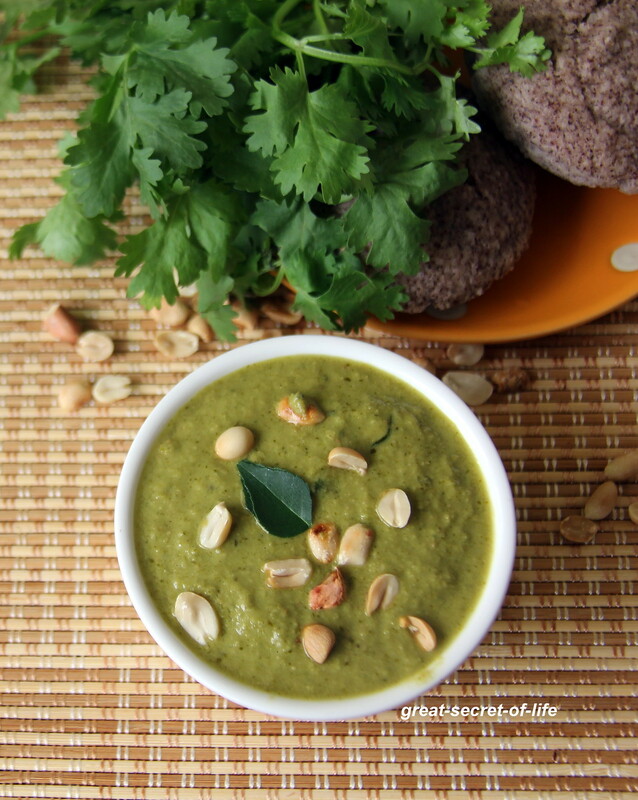 Nice n healthy combo chutney.. 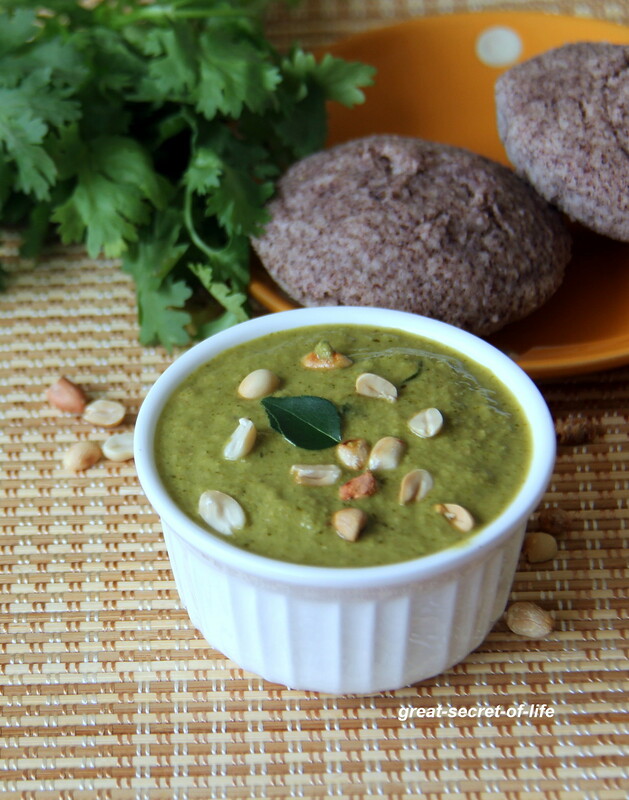 Very delicious and beautiful combo, delicious chutney.